Click here to checkout the Fragrance Direct Sale. First thing I found was L’Occitane’s A Man collection reduced to clear at £21 then there was also the Clarins Eau Dynamisante collection gift reduced to £21.40. Here’s the link to the whole John Lewis beauty clearance with absolutely ridiculous offers and the stock levels seem to be doing quite well for now! Meh, usually it’s much, much better at Space.NK but hoping they’ll add more items as it goes on tomorrow. I didn’t find anything all that interesting but it’s worth a look nonetheless. The complete Space.NK sale listing is here. 20% off everything! Get on it, get on it NOW. Escentual stock the best brands that are almost always at the lowest prices you’re going to find in-store or online. Whereas Space.NK is usually pretty good, House of Fraser is often rubbish with just the dregg of Christmas lurking on its pages. However, all is improved for 2015 with money off pretty much everything and especially great prices on the gift sets. The complete House of Fraser sales listing is available here. I don’t know how The Body Shop could possibly take any more money off after the truly awesome Christmas gift offers and offers running throughout the year; but they have! There’s 50% off all the specific Christmas lines as well as loads of other products, including this bear sponge for £1.50! The complete sales listing is available here. Surprising this one, as it’s not just their variety of own-ish brand gifts that’s on offer but discounts on gifts from brands like Clinique and Clarins. There’s a hell of a lot to choose from so check out the complete Boots sales listing here. 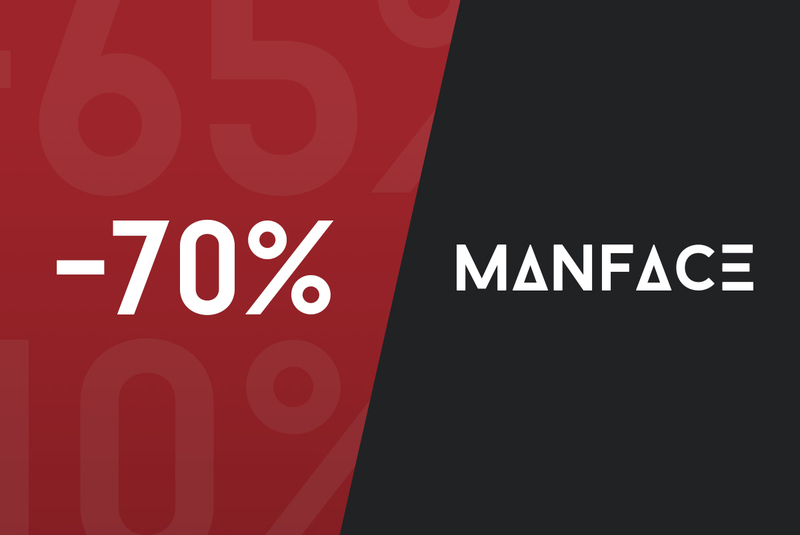 With their ever-expanding collection of brands, the sale at Mankind pretty bloomin’ good this year. It’s been separated into Haircare, Skincare and Bodycare. A highlight was Dr. Jackson’s Natural Skin Cream 02 at £40 down from £80. To note, the page links at the bottom of each category (eg. 1, 2, 3) aren’t fully listed so when you get to page 3, look back at the bottom and you’ll likely see links to page 4, 5, 6 etc. Tonnes to check out here and probably where I spent longest browsing! Check out the whole collection here; if you scroll to the bottom of the page you’ll see the sale split into sections. This article first appeared on MANFACE written by Thom Watson. It was published on Saturday 26th December 2015 and was last updated on Monday 3rd April 2017 at 1:16pm. It's categorised under Editorials where you'll find more related content.